Miss Mendi and I popped into Saks the other day, the spring clothes were so colorful and fresh! Nanette Lepore’s Spring 2009 collection had me obsessed. I love every piece! A old fashioned wing back chair could be updated with this great fabric from Rubie Green. 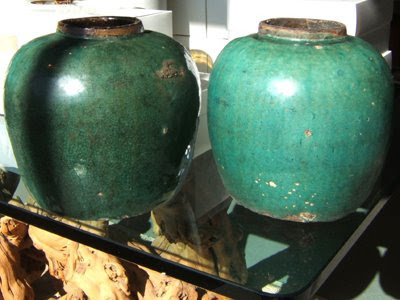 I love these Chinese glazed pots in turquoise and emerald green from Circa Trade. They can be used anywhere! 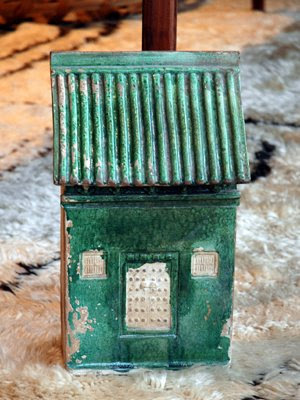 This sculpture is of a Ming style house facade, isn’t that cool? Circa Trade has unique items from all over Asia…I think collecting cultural items from traveling make a home so unique. 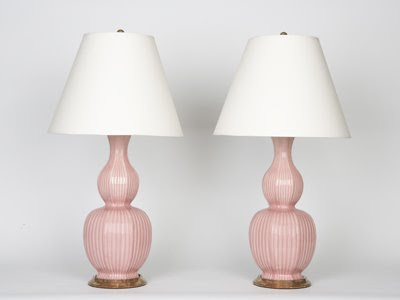 A couple of gourd shaped lamps from Christopher Spitzmiller would look nice, you can choose any glaze you like, a light pink or soft coral would match this top! A lime green throw like the one above would be pretty on neutral slip covered sofa!